MIRROR SYSTEM is the chilled and downtempo extension of our dance music project SYSTEM 7. 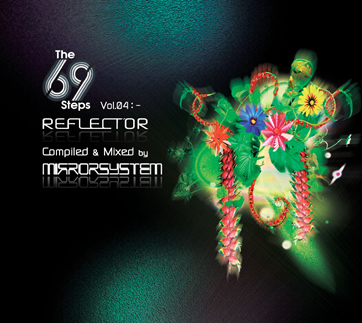 MIRROR SYSTEM returns in 2010 with our new textured mix CD “Reflector: Mixed & Compiled by Mirror System”. This DJ Mix CD is a result of numerous DJ sets we have played in which we have blended the Mirror System chilled feeling with soft minimal techno and electro beats, drawing upon some of our favourite cutting edge artists such as Trentemoller, Guy Gerber, Shlomi Aber, Chymera, Peace Division, Alex Kenji and Bluetech on this distinctive new musical mix. "Mixing in tracks from Mirror System & System 7, Reflector's soft minimal techno and electro beats provide a sublime chilled soundtrack, perfect for summer days and nights as the warmer season beckons."